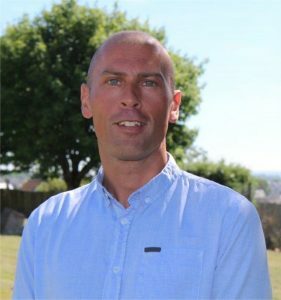 Gareth’s career has always been based around sales and account management and includes the banking, finance and recruitment sectors, before he moved into the educational arena with The Cornwall College Group almost five years ago. Throughout his career there has always been a focus on training and development, both through his own teams and that of his customers, so his latest position of Group Head of Employer Engagement at TCCG, which focuses on apprenticeships, business training and funding, is a culmination of the work he has done to date and best utilises his relationship building skills. Gareth is passionate about the South West region, both from a work perspective, in terms of education and training, developing the local economy and raising skills levels and aspirations throughout all of the sectors in Cornwall and Devon and across TCCG’s nine campuses, as well as from a family and home life point of view. He is keen to work with other organisations and training providers to ensure the South West region flourishes in terms of training, productivity and culture.